The features of everyday life of the Baskirs, image perception of natural surrounding, ancient rites are reflected in the art of choreography. The base of dance movements can be traced in woman’s and man’s dance movements. Man’s dance presented the imitation of clatter of horses' hoofs. Woman’s dance presented different labour processes: gathering of berries, spinning, koumiss preparation. 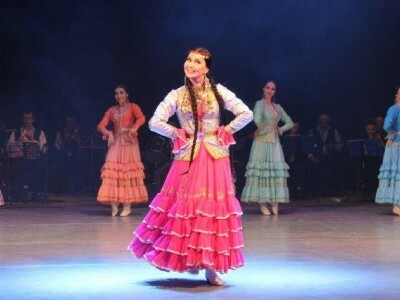 “The cultural world” web portal is the only media to tell about Bashkir culture. It also highlights the achievements of famous people in the republic, tells about young artists. If quoting or copying materials from the portal active hyperlink is obligatory.